Weekly update: 30 races and $42,914 raised! We’re very close to $43,000 raised on our way to $52,000 for the GBS/CIDP Foundation. And we’ve run 30 races, so there’s only (cough, cough) 22 races to be run in three and a half months. Wish me luck with that! My friend and colleague Marc Delingat very generously donated $150 to the cause this week. Thanks Marc for getting our fundraising out of a serious rut and back moving again. You’re the man! We’ve run two races in the past two weeks. We really need to get moving, but they were tough ones! 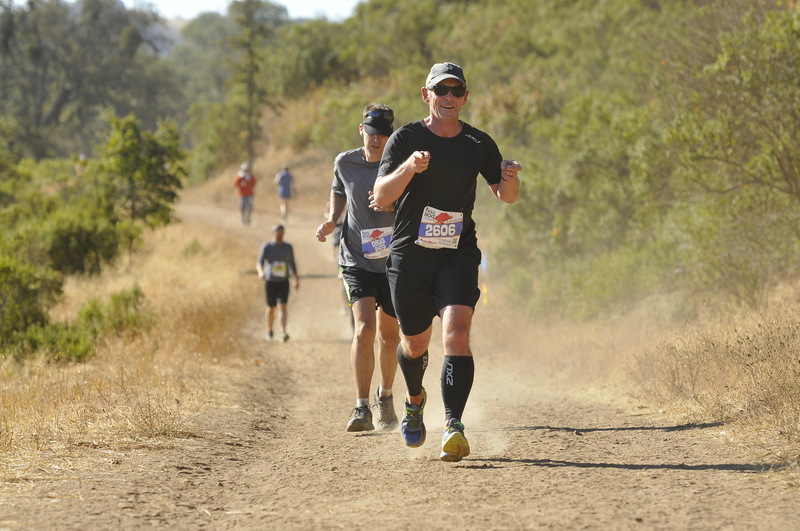 Race #29 was an especially challenging trail race in the hills, and Race #30 was a nice lap around Lake Merced in San Francisco.